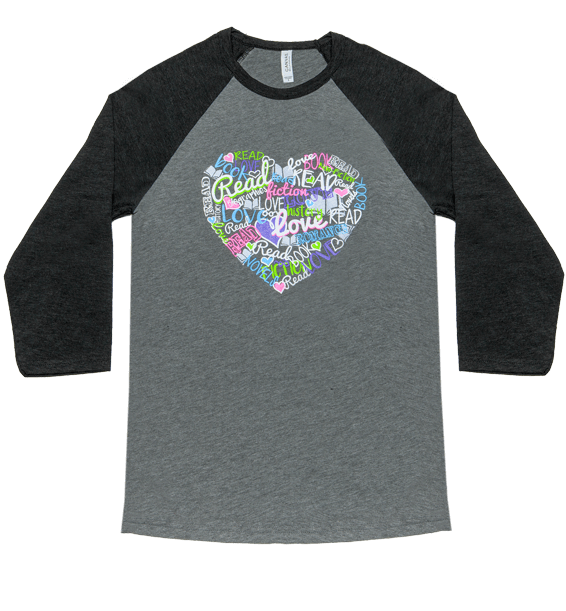 Super soft sports jersey with “Librarians Rock” design in rhinestones and studs. 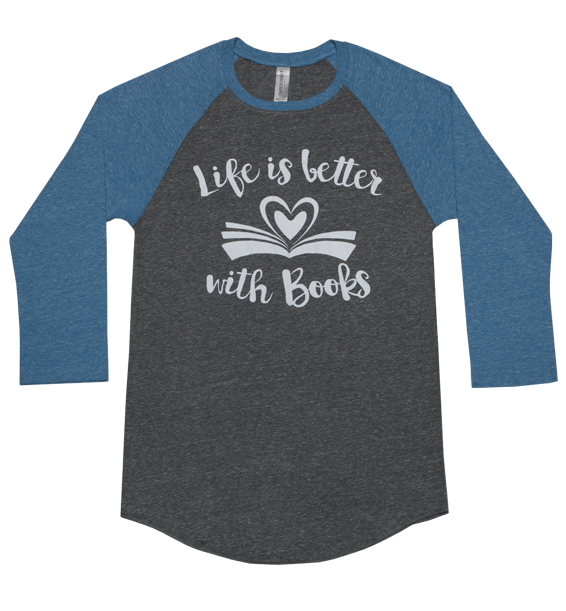 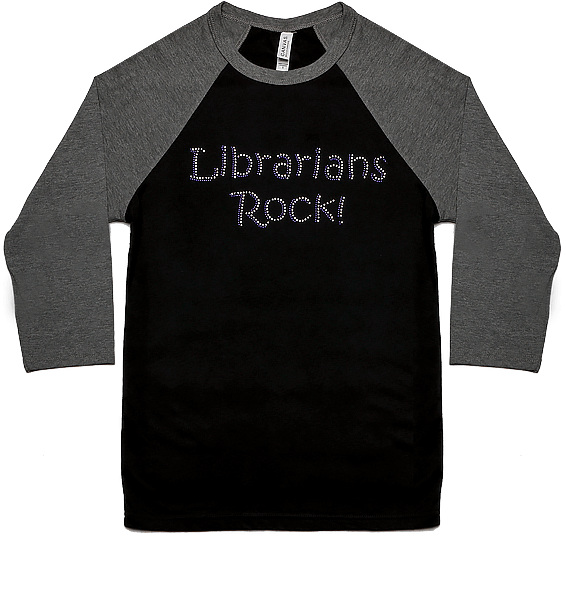 Super Soft Librarians Rock Black Sports Jersey with Charcoal 3/4 Length Sleeves. 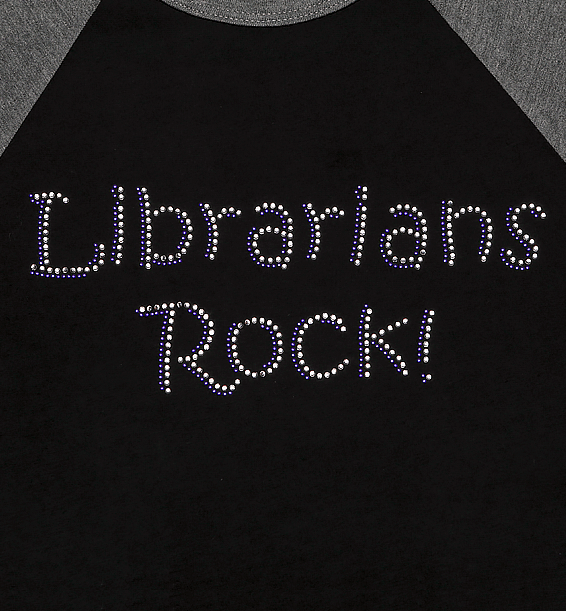 “Librarians Rock” in Clear Sparkle Rhinestones Accented with Purple Studs. 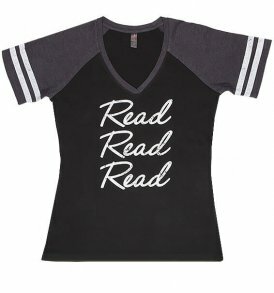 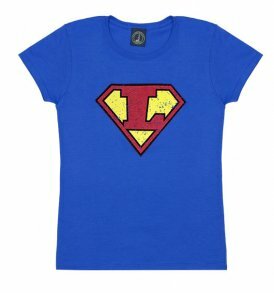 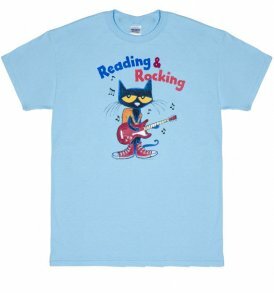 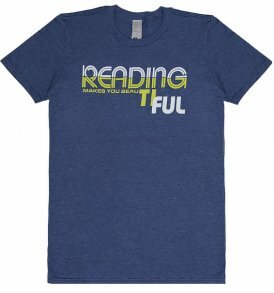 “Super Librarian Protecting Your Right to Read” silkscreened design.